You won't want to miss what's happening on the UC Davis campus on Saturday, May 7. It's the second annual UC Davis Bee Symposium: Keeping Bees Healthy. Keynote speakers are bee scientists Yves Le Conte, director of the French National Institute for Agricultural Research, Paris, and Dennis vanEnglesdorp, professor of entomology at the University of Maryland, College Park. 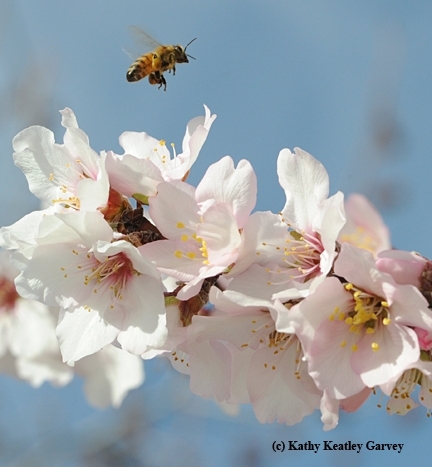 The daylong symposium, to take place in the UC Davis Conference Center, is set from 8 a.m. to 6 p.m. Open to the public, it is sponsored by the Honey and Pollination Center at the Robert Mondavi Institute for Wine and Food Science and the Department of Entomology and Nematology. In addition to his groundbreaking work in Europe, Le Conte collaborated with bee scientist Gene Robinson at the University of Illinois to isolate the pheromone that helps regulate labor in the honey bee colony. Le Conte has also worked with Mark Winston, Marion Ellis and many others throughout the country. He is a member of the advisory board of the Bee Informed Partnership, which strives to help beekeepers keep healthy and stronger colonies. 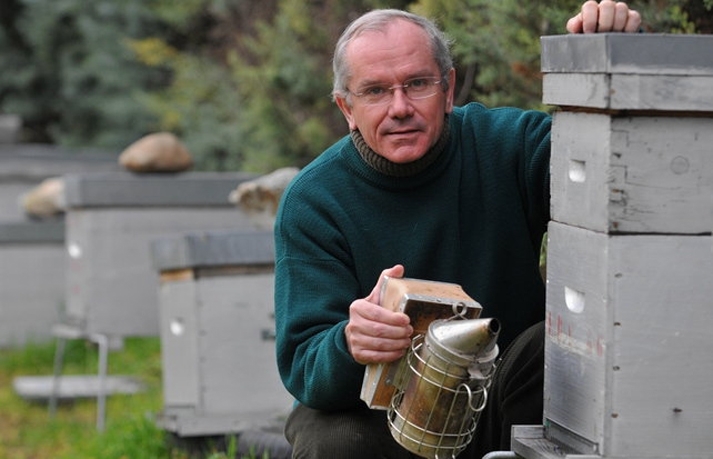 VanEnglesdorp focuses his research on pollinator health and honey bee health. 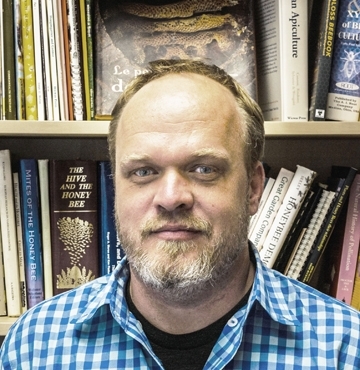 He describes his approach to understanding and improving honey bee health as “epidemiological and multi-faceted.” He studies individual bee diseases and engages in large scale monitoring of colony health. The day-long symposium will conclude with a reception in the Robert Mondavi Institute's Good Life Garden where appetizers, mead, cyser (mead made with apples), local honey beers and assorted other beverages will be served. Graduate Student Research Poster Competition: Graduate student entomologists from UC Davis and UC Berkeley will present their research during the lunchtime poster session. Lightning Round: This year's lightning round will include information from California Extension apiculturist Elina Niño, UC Davis Department of Entomology and Nematology, on her development of California's first Master Beekeeping Certification Program. Five other researchers and beekeepers are scheduled to provide five-minute presentations. Vendors and Educational Exhibits: Vendors and educational exhibits will line the corridors of the Conference Center with beekeeping equipment, honey tastings, bee T-shirts and other items. The UC Bookstore will offer bee and honey-related books. UC Davis, recently ranked No. 1 nationally for its Department of Entomology and Nematology, continues to lead the way in agricultural innovation and sustainability, in part through its pollinator-related research and conferences, including the Bee Symposium. The symposium is made possible through a generous gift from the Springcreek Foundation. Tickets are $80, which includes breakfast, lunch and the reception. Student tickets are $20 (with valid identification). To register for this event, access http://honey.ucdavis.edu/events/2016-bee-symposium. For more information, contact Amina Harris at aharris@ucdavis.edu or (530) 754-9301. Prospective vendors should contact Liz Luu at Luu@caes.ucdavis.edu. The UC Davis Conference Center is located on Alumni Lane, across from the Robert and Margrit Mondavi Center for the Performing Arts.